Bowlers of all levels of experience are welcome. o Monday, Wednesday and Friday at 1:00 PM. We offer free lessons. Just bring flat soled shoes. No partner needed. 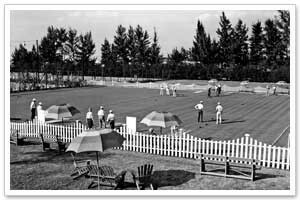 The Sarasota Lawn Bowling Club remains one of the oldest, historic sports clubs in Florida, and was established in 1927. 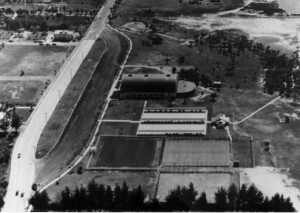 In 1934, a private group deeded the City of Sarasota the 42 acres to the city to maintain and keep the land for recreational use and the club moved its greens from McAnsh Park. 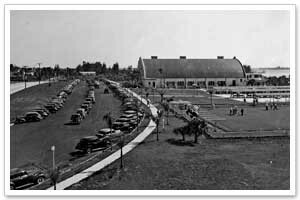 Today the Garden Club, Memorial Auditorium and the Lawn Bowling Club have an historical designation with the US Government and are the three oldest tenants on the property. Few clubs or businesses have been in our community as long as the bowling club.